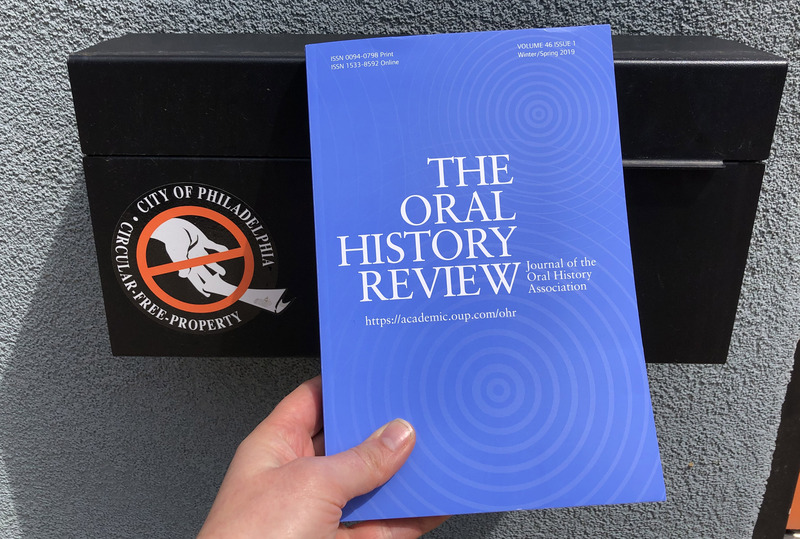 Oral History Review | The blog of the journal of record for the theory and practice of oral history and related fields. We ask authors of books reviewed in Oral History Review to answer 5 questions about why we should read their books. 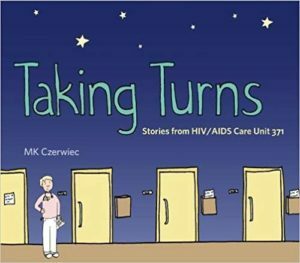 In our latest installment of the series, MK Czerwiec discusses Taking Turns: Stories from HIV/AIDS Care Unit 371. Mark O’Connor’s review of Taking Turns: Stories from HIV/AIDS Care Unit 371 is currently available online and in issue 46.1 of OHR. Taking Turns: Stories from HIV/AIDS Care Unit 371 is a graphic memoir (non-fiction, long-form comic) informed by oral history interviews. Taking Turns tells the story, in comic form, of a new nurse (me) coming into her professional identity in a dedicated HIV/AIDS care hospital unit in Chicago at the height of the crisis years. It also provides a primer on the AIDS crisis in the United States, showing why unique care was needed, and how a community was formed to provide that care during years of profound loss and fear, yet also great compassion and connection. Nearly ten years after our AIDS care unit closed, I was pursuing a master’s degree in Medical Humanities & Bioethics. In the course of my studies, I came to realize that the history of our Chicago AIDS Unit 371 was not formally recorded anywhere. I was shocked. Our AIDS unit was a model for compassionate, connected care. During our unit’s fifteen-year lifespan, people came from throughout the country to benefit from the excellent care we provided. Hundreds of people died there. Thousands of families and friends spent endless hours there. New treatment methods and new models of care had been developed there. Yet no history had been recorded. My goal was to change this. So as my thesis project, I interviewed former nurse colleagues, physicians, patients, our art therapist, social workers, volunteers, hospital administrators, family members, friends—anyone who could give me insights into this unique and important place. After transcribing and organizing these interviews, I then integrated my own memoir of being a nurse on this unit to create Taking Turns. I decided to present it in a graphic form because while working on the unit I had started making comics to process experiences I’d had there. Additionally, a new field now known as Graphic Medicine had emerged and was quickly proving the important role comics could play in the discourse of health, illness, disability, and caregiving. I was convinced more than ever that comics were the perfect medium to convey the unique story of Unit 371. Adaptation from oral history and memoir to comics was a bit tricky, but my narrators were great supporters, generously allowing me to illustrate their stories in my child-like drawing style, while helping me integrate their experiences into a broader narrative of the unit. Taking Turns: Stories from HIV/AIDS Care Unit 371. By MK Czerwiec. Penn State University Press, 2017. 224 pp. First and foremost, I learned how much I did not know about the people and a history I thought I understood. Interviewing former colleagues taught me about their backgrounds, about how they thought of the work we’d done together, and what it meant for their lives years later. Oral history is a powerful tool for learning, teaching, and creating connections. This past year, one of the oral history narrators, who had become a great supporter of this project and character in this book, died. I am so grateful that because of oral history, this project gave me a means to include his memories, to share his expertise and insights. When he died, his family reached out to thank me as well. Through this book, and because of oral history, he will continue to be a teacher for generations to come. It is my hope that Taking Turns serves as an example of adaptation—a way to combine oral history with an artistic medium, in this case, comics. When I first completed the oral history of Unit 371 and gave it to friends and colleagues to read, they felt it was far too overwhelming as a text. “Like drinking from a firehose,” as one friend described it. Using the medium of comics, and the visual narrative tools it makes available, I was able to present the material and characters of this story in a way that was unified, manageable, and accessible. For example, people often speak in metaphors when describing their bodies, health, and traumatic experiences. Comics can easily make those metaphors visual. Further, from our earliest classes in English, we learn that the best storytellers “show, not tell.” Comics allow for this, literally. Comics also created room for silences in a way text-alone could not. All of these benefits were very important to me in this project. 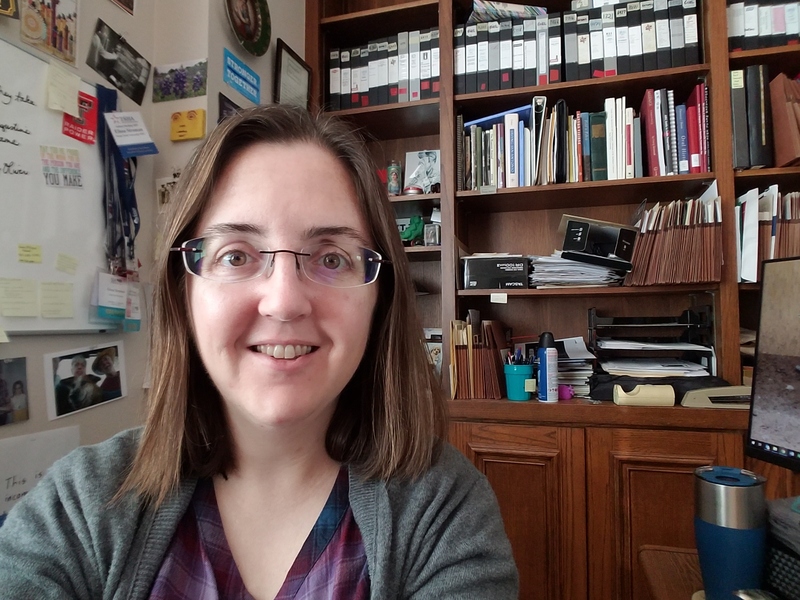 Dear OHR readers, please help us welcome Elissa Stroman, our new Copy and Production Editor. We’re so excited to have her as an addition to our team! Tell us about your interest and background in oral history. I fell into oral history entirely by accident. I was starting my master’s program in musicology, and since there weren’t assistantships available, my advisor suggested employment at the archive on campus at Texas Tech University. Three years later, I started a full time position at the Southwest Collection/Special Collections Library in our Audio/Visual department. My first task was to reassess and rehouse the oral history collection. For the past nine years basically, I’ve been working daily with our almost 13,000 oral history recordings (6,500 in our main holdings and 6,500 donated). My interest started from the archival, collection management side of things—how to best arrange, describe, and disseminate the interviews. I learned the discipline just by listening to as many interviews as I could from our archive, while doing supplemental readings for theoretical approaches. I’ve also been fortunate to conduct a number of interviews that feed into my research interests—primarily dealing with women’s music clubs and Texas musical communities and traditions. What is your own research specialty? I am a musicologist by training, and I investigate how gender and music intersect with popular culture. My research has focused on 19th- and 20th-century American musical women—particularly pianists and clubwomen. My master’s thesis and dissertation explored reception history, identity, and memory/myth-making by investigating how Gilded Age musical print culture represented women. But because of my work at the Southwest Collection and my involvement with the Handbook of Texas Women, now I additionally study and document more contemporary Texas women culture bearers—writers, historians, artists, musicians, and clubwomen. What do you like most about copyediting? How about the least? I was a writing tutor in undergrad, and I found I really loved the exercise of having people of incredibly diverse backgrounds and styles bring you text on a page that you work with them to improve. My mom was an English teacher, and that combined with my perfectionist tendencies makes the work a natural fit. I find the process rewarding—to know that you’ve helped streamline language, standardize punctuation, and make things more organized and readable. I think my least favorite part of copyediting is that my brain can’t hold every tiny formatting rule in the Chicago Manual of Style—so I’m constantly having to refer back to the guide to ensure the best possible end product. What are you looking forward to in your new position on the OHR team? Generally, I’m looking forward to diving into the challenges that come with the variety of subjects explored in OHR articles and learn as much as I can in the process. I’m excited to be a part of the team that helps disseminate the important work of the Oral History Association! It’s always a good mail day when the latest addition of the Oral History Review arrives! And it’s a good one, with highlights including articles on oral history in museum exhibit design, coming out narratives, moral injury among Vietnam veterans, oral history in China, and unexpected trauma in interviews. We also feature a special section considering the scholarly contributions of legendary oral historian Ron Grele (along with the gallery here). 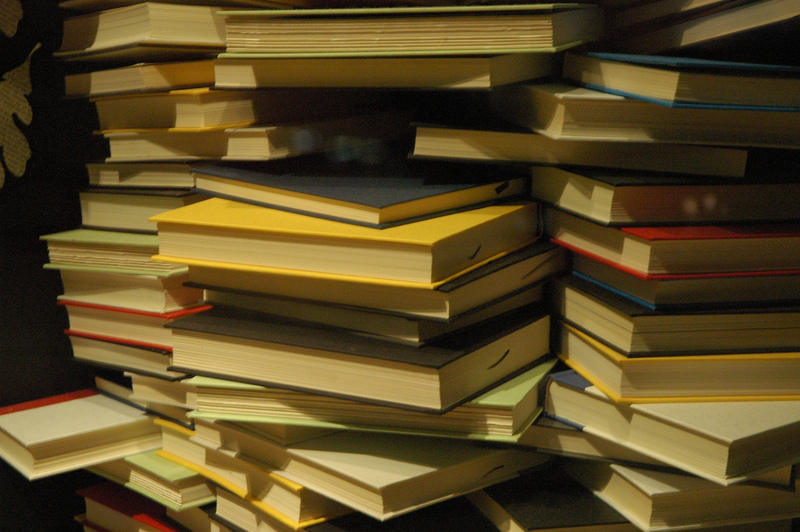 And don’t forget the over 30 reviews of books and media projects, many of which you can read about in our recurring “5 Questions About a Book” series here on our blog. If your copy hasn’t arrived, you can preview it online here. Sign in if you are an Oral History Association member to access the articles, or join today! By Philip F. Napoli, with contributions from Thomas Brinson, Neil Kenny, and Joan Furey. As part of the research for my book, Bringing It All Back Home: An Oral History of New York City’s Vietnam Veterans, published in 2013, I interviewed approximately 200 Vietnam veterans from the New York City area. Out of those veterans, I ultimately profiled sixteen in the book. Over the years it took to research and write, I developed lasting relationships with a number of my interviewees, including Thomas Brinson, Neil Kenny, and Joan Furey. 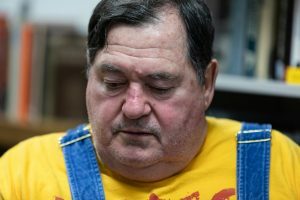 Of course, veterans like Brinson, Furey, and Kenny had struggled for years in the absence of such a clinically recognized condition, as they returned from Vietnam in the late 1960s and early 1970s. By the 1990s, post-traumatic stress was becoming an increasingly accepted psychiatric diagnosis and not just for combat veterans, but among the survivors of all kinds of traumas, including sexual abuse. Indeed, Jonathan Shay, a psychiatrist whose principal group of patients were Vietnam veterans, published a groundbreaking work, Achilles in Vietnam, Combat Trauma and the Undoing of Character in 1995 that made it clear that the difficulties suffered by American military personnel on their return from Vietnam were not abnormal, singular or even very surprising. Shay persuasively argued that in Homer’s Iliad, a careful reader can identify many of the very same response patterns to combat among the characters of the great epic poem that American soldiers reported in clinical encounters. PTSD, Shay suggested, is deeply rooted in Western culture. A betrayal of what’s right. by someone who holds legitimate authority (e.g., in the military—a leader). in a high stakes situation. By 2009 scholars were beginning to write and publish about the idea. I first encountered it at a public lecture given by Shay that NYU in the fall of 2013, where he explained the concept. As a consequence, I began to reconsider the stories of the veterans that I had been collecting, by that time, for the better part of a decade. Could, I wondered, find instances of moral injury in the hundreds of hours of recordings I had collected? I thought so, but in an important way, identifying moral injury—as I understand it —depends at least as much on the interviewee as it does on the interviewer. An interviewee should, I believe, understand an episode of trauma as one not grounded in terror, which lies at the heart of the PTSD diagnosis, but as a ‘violation of what’s right,’ that is to say, a moral transgression. While in some instances it may be justifiable for a historian to interpret the documentary record produced by the oral history interview in a way that does not emerge directly out of the interview experience, in this instance it seemed to me only right and fair to ask my interviewees if the traumas that I thought might be attributed to moral injury seemed to them, in fact, correctly described in that way. I wanted us both to listen again to the recordings we made together perhaps find new meanings in them. Thomas Brinson. Photo courtesy of Thomas Brinson. Recently I’ve been thinking about the concept of “moral injury” as proposed by psychiatrist Jonathan Shay. Because you are a clinical social worker, I feel pretty sure you know about this already, but in brief, this idea suggests that while the notion of PTSD is valuable, it doesn’t really capture the entirety of the psychological consequences of combat. As Shay says, moral injury “is what happens when there is a high-stakes violation of ‘what’s right’ by someone holding legitimate authority in a high-stakes situation.” Reflecting on the conversation we held so many years ago, it appears to me that the story you told illustrates shay’s “moral injury” idea very well. What I would want from you is a statement about whether or not you think I’m right concerning your story, and if I am, how the idea of moral injury relates to the person you became after Vietnam. If you think I’m wrong, and your story does not connect with the notion of moral injury, then I think you should say that. If you listen, I believe you can hear something of the depth of the pain Brinson experienced both in 1968, and in the moment of retelling in 2007. As Brinson wrote in the article, he understands the concept of moral injury as providing a better interpretive lens for the long-term consequences of this incident than that provided by the concept of post-traumatic stress. In the following clip, in very cinematic language, Kenny describes one of several incidents that took place in 1968 when he was called home from Vietnam on emergency family leave. His grandfather had passed away and the family was gathering for the funeral. Kenny felt deeply connected to his grandfather as the only family member who had both acknowledged the dangerous reality of Kenny’s Vietnam service and indicated an anxious anticipation of his safe return home. Here, he recalls a scene at the funeral home in which a family member verbally disrespects Kenny’s experience and knowledge of the situation in Vietnam. In the second clip, Kenny reflects on the meaning of this family’s reaction to his return for the funeral. As Kenny has said many times, in an important sense, his post-Vietnam journey into alcoholism began with this brief trip home to bury his grandfather. It wasn’t combat and its violence that created the most important trauma that he endured. In fact, in an important way Kenny felt morally equipped to participate in war because of his religious upbringing and because of his family’s tradition of military service. The devastating trauma, the one that could barely be endured, was a violation of “what is right” by the people he trusted most to do the right thing—his family. Violence and killing in the context of war was acceptable. Rejection was not. More recently still, I asked each of my co-authors for a final reflection about their experience being interviewed by me, about the fact that I keep going back to them, asking them to dig deeper, opening up past wounds to explore their history and lives. While each author responded, Joan Furey offered what I think is a wonderful articulation of the transformative potential embedded in the oral history enterprise of sharing authority. Here are her written comments, in full. Joan Furey appeared in the recent Ken Burns and Lyn Novik film The Vietnam War. “Participating in this oral history project really helped me to see that, as one gets older you begin to see your life, not so much as a series of ‘snapshots’ but more of ‘landscape’ painting. When I first started talking about Vietnam I focused on specific incidents, points in time, the snapshot of the experience. Over time I finally began to see how inter-related everything is. In sharing my story, my whole story with Dr. Napoli, I once again began to see and understand myself, my life, and how my experiences in Vietnam influenced so many of the decisions that I made. I’ve truly come to appreciate that that one year in my life impacted me so greatly. For too long I focused on the ‘one year of my life’ as a scene not a journey. When you can finally put it all together it’s a very powerful experience and a very healing one. I guess that’s one of the reasons why I am so committed to sharing my story. I feel very blessed that I am in such a good place in my life. “There were times when it could have gone either way. My years in therapy, in working with other vets, in sharing has helped me to really develop this picture. I think involvement in this project was a culmination of that work and helped me to put it all together. Joan Furey on a panel discussing veterans health issues at a symposium held by the American Academy of Nursing, June 2018. Philip F. Napoli is an associate professor of history at Brooklyn College, a part of the City University of New York. He is also the author of Bringing It All Back Home: An Oral History of New York City’s Vietnam Veterans, published in 2013 by Hill and Wang. Featured image: Twentieth Century “Angel of Mercy” — D. R. Howe (Glencoe, MN) treats the wounds of Private First Class D. A. Crum (New Brighton, PA), “H” Company, 2nd Battalion, Fifth Marine Regiment, during Operation Hue City. National Archives and Records Administration. The Philadelphia-based team of OHR editors welcomes the Organization of American Historians‘ Annual Conference to their home town this April, where they will lead a workshop “Writing” Oral History. Editor in Chief David Caruso, managing editor Abigail Perkiss, and digital editor Janneken Smucker each call Philadelphia home, so we are thrilled that the Organization of American Historians is coming to us this year, April 4-7. As locals, we are happy to tell you the best places to escape for a beer, coffee shops with free wifi and great brew, where to score the best falafel and tahini shakes, and about the cool neighborhoods to explore. We are also leading a mini-workshop, “Writing” Oral History, Friday, April 5, 8:00-9:30. Recently we shared a preview on the OAH Blog, and we are reposting it below. We hope you can join us in Philly! The academic journal, particularly in the field of history, is not necessarily known for innovation. Many of the core principles on which scholarly publishing was founded—blind peer review, citation, rigorous editing—are inherently conservative, following longstanding forms and traditions. While scholars have begun to debate the merits of some of these conventions, in the field of history we have not yet fully felt the winds of change reshaping academic publishing: few history journals have turned to open access, online only, or open peer review, as the logistics and financial realities of the field make it challenging. But in what ways are we able to innovate the forms historical writing takes? The subfield of oral history—an interdisciplinary approach of “gathering, preserving and interpreting the voices and memories of people, communities, and participants in past events”—has been wrestling with the ways that our methods have the potential to change the way we disseminate our research. 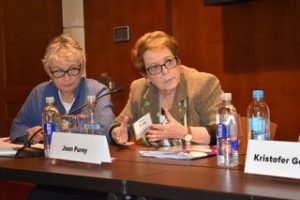 In the twenty-first century, these conversations have taken on increased urgency, as the ease of recording and disseminating digital audio with relatively low cost and accessible equipment has resulted in a proliferation of media that has the potential to profoundly augment the aurality of oral history. By integrating this aural experience into our scholarship, we offer readers more direct engagement with the primary texts of the field – the recordings themselves. The Oral History Review (OHR), the field’s flagship journal published by the Oral History Association, has a mission of sharing original research focused on the practice, methodologies, theories, and pedagogy of oral history, while reflecting its interdisciplinary nature. And as its editors, we have been thinking a lot about how modes of writing about/through/with oral history can also transform. At OHR, we’ve been eager to adopt digital technologies to integrate digital audio and video into authors’ articles. But, as we’ve discovered again and again over the last decade, sometimes our digital ambitions have been ahead of the realities of academic publishing. Expanding the forms that “writing” oral history can take entails more than just inserting links to digital audio in the middle of a traditional journal article; it requires thinking about the sustainability of those links and files, long term storage capacities, and the ways in which readers will interact with the articles today and in the future. In our OAH session, “Writing” Oral History, we, the editorial team of the Oral History Review, will explore how oral history provides historians with new ways of approaching topics, particularly how writing with oral history elucidates memory, voice, and emotion, particularly by integrating digital audio directly into articles. We will also showcase our digital presence at oralhistoryreview.org, where we aim to complement and supplement what we do in the print pages of our journal. Still a work in progress, we strive to use this space to deepen the conversations started by our articles, and to extend them to a wider community that may not have access to an expensive journal subscription. OHR editorial team members Dave, Abby, and Janneken are heading to Hartford, Connecticut for the annual meeting of the National Council on Public History to participate in conversations about publishing in the field of public history. Here, Abby gives a preview. We hope to see you there! Next week, at the annual meeting of the National Council on Public History, historians will come together to consider the complicated work of repair. Oral history occupies a particular space in this reparative process, bringing together narrators and interviewers in a collaborative act of reconstruction. Through the interview process itself, participants contemplate individual and collective pasts, integrating historical reflection and contemporary contexts to create a new, dynamic memory of what has come before. And, through the adoption of new technologies and points of access, oral historians bring those narratives to a public-facing audience, reshaping our broader understanding of longstanding historical events and recasting notions of the links between past and present. As a community of scholars, we come together to reflect on these practices and processes. One of our aims at the Oral History Review is to offer space for such conversations and contemplations, both in the pages of the journal and here on this blog. To that end, the OHR editorial team will join editors Nicole Belolan and Sara Case of The Public Historian for a structured conversation on publishing in public and oral history. Join us in Hartford next Friday at 10:30 am to discuss the aims and missions of the two journals, and the opportunities that exist in each to engage critically with these questions of repair work. Matthew Barr and Cornelia Wright Barr reflect on the creation of Union Time: Fighting for Workers’ Rights. The documentary, which draws heavily on oral historical methods, follows the story of workers at the Smithfield Pork Processing plant in Tar Heel, North Carolina, as they fought for safe, fair working conditions—and won. Read a review of Union Time by Roger Horowitz, currently available online, which will appear in the print pages of our Winter/Spring 2019 issue. In 2008, I drove down long country roads to the home of a meatpacking worker in rural Bladen County, North Carolina. 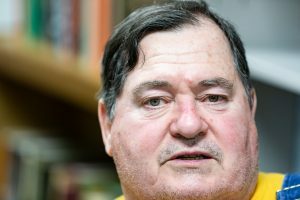 He had agreed to be interviewed for a documentary about the United Food & Commercial Workers Union’s organizing campaign at the world’s largest slaughterhouse, operated by Smithfield Foods, in the hamlet of Tar Heel, North Carolina. When I arrived at his door, the worker became evasive and refused to talk to me. Why? Maybe he was tired after a 10-hour shift. Maybe a Smithfield manager had threatened him to leave union matters alone. I headed back to Winston-Salem in the dark, struggling to read road signs. GPS led me down a dead-end dirt road. I began to wonder why seeking the voices of workers had to be so difficult, if I could ever finish this film, and if I would ever get home safely. It was just another day in the nine-year journey to tell the greatest labor story of the early 21st century. My original intention with Union Time was to show the struggle and achievements of the UFCW organizers who worked for 16 years to organize the 5,000 workers at the Smithfield plant. They stood up to Smithfield Foods, the largest pork processor in the world. The UFCW became involved at the Tar Heel plant in 1994, a year after it opened, when stories of dangerous working conditions, wage theft, and abuse came out. The union held two elections, in 1994 and 1997, both tainted by actions of Smithfield management and union busters. After years of litigation, the UFCW ramped up its efforts in the new millennium with the Justice@Smithfield campaign, which was when I learned about the union struggle. Over time though, I shifted my focus from the organizers to the workers who dedicated years to the struggle. I was able to gather footage of activities including marches, rallies, organizational meetings, and the like, but the key material consisted of the interviews with the workers, followed by interviews with organizers and community leaders. The workers’ courage under daunting odds gave me courage to face a variety of challenges. Skepticism about unions made funding the film extremely difficult; even progressive organizations told me that unions were “an old story.” Smithfield’s litigious history was also a concern; the company had held up the UFCW in court for nearly a decade and demanded a 10-year gag order for the Justice@Smithfield campaign. (Because of the gag order, UFCW International officials refused to be interviewed.) I hired a First-Amendment rights lawyer and got a $3 million liability insurance policy. This union drive was ultimately a success, thanks to the show of solidarity inside the plant coupled with a strong focus on community engagement. Gene Bruskin, legendary union organizer and director of Justice@Smithfield from 2006–2008, brought together immigrant rights groups, churches, and organizations such as Human Rights Watch and Jobs with Justice to lend their support. 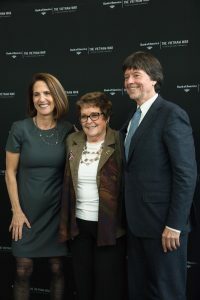 Bruskin and Leila McDowell, his communications director, also launched a PR campaign that made consumers aware of how Smithfield products were “packaged with abuse.” Perhaps most importantly, Reverend William Barber of the North Carolina NAACP set a high moral tone for the campaign, underscoring the relationship between labor rights and civil rights, and the questionable ethics of the factory-farming industry. In December 2008, the UFCW won the right to organize the Tar Heel plant, leading to the formation of Local 1208 in Tar Heel in July 2009. Working conditions improved soon after, with improved safety standards, union stewards in the plant to report irregularities, and higher wages. Ultimately I shot 170 hours of footage and accumulated a wide array of court documents, photos of injured workers, and newspaper stories. Fashioning the 86-minute documentary from so much material was a monumental task, involving a deep understanding of the multiple narratives of the interviews, and in the ordering and structuring of the story. I was still “seeking the voices”—but now, mining them in the edit room for the special moments that are like gold. Union Time is a melding of a documentary point of view, communicated through with interviews, cutaway visuals (“B-roll”), and narration—with an oral historical focus on the voices of the worker activists who made the victory happen. It was wonderful to show that the union truly had an enormous victory (one of the biggest organized labor victories of this century) that resulted in major gains for the 5,000 workers at the plant. Why make documentary films? For me, I am driven by capturing the life of working people and working communities that face unique challenges in the times we live in. Some of my earlier documentaries include Wild Caught: The Story of an American Fishing Town, which chronicles the struggles of small-scale fishermen in Sneads Ferry, North Carolina; With These Hands, about the closure of a Martinsville, Virginia, furniture factory and its impact on the workers; and Carnival Train, which tells the story of carnival workers who work for the last carnival that travels by train. Since its 2016 release, Union Time has screened at labor film festivals and community groups across the U.S., in Canada, and in Japan, as well as at the labor schools at Cornell University, UCLA, UC-Berkeley, and Michigan State University. It was also licensed by the National Labor Relations Board to screen in all of its branch offices across the United States. In 2018 I produced a 70-minute version that will be utilized by labor unions for motivational and training purposes. Matthew Barr is professor of Media Studies at the University of North Carolina, Greensboro. He runs, with his wife Cornelia Barr, the Unheard Voices Project, a nonprofit dedicated to producing documentary films concerning working people and their struggles in a globalized economy. Learn more about the documentaries at www.uniontimefilm.org. Cornelia Wright Barr is Executive Director of the Unheard Voices Project and was Executive Producer and Co-Writer of Union Time. 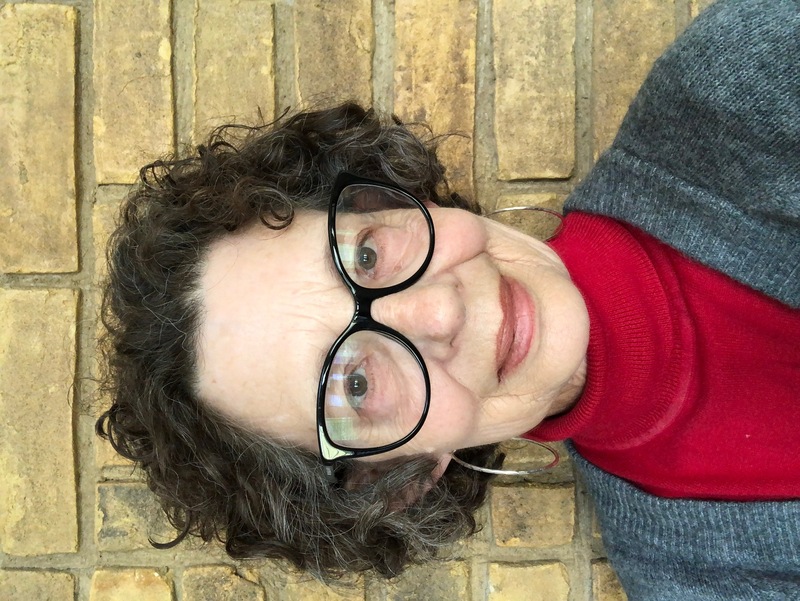 As part of OHR‘s Winter/Spring 2018 issue, Jennifer Brier contributed “‘I’m Still Surviving’: Oral Histories of Women Living with HIV/AIDS in Chicago” to the special section, “Decentering and Decolonizing Feminist Oral Histories: Reflections on the State of the Field in the Early Twentieth Century.” In this guest post, Brier shares the film resulting from her project. This eleven-minute film is a culminating piece of the “I’m Still Surviving” project. A compilation of excerpts from the fourteen narrator-led oral histories by women living with HIV/AIDS in Chicago, the film layers the women’s voices over their personal photographs and ephemera to create a historical narrative of HIV/AIDS in Chicago. The piece is a collage of sorts, one that follows the course of a woman’s life from childhood through adulthood as it also paints a picture of how structural violence, systemic racism and inequality affect the course of the HIV/AIDS epidemic in Chicago, one of the most segregated cities in the United States. Each woman you hear in the film was both interviewer and narrator, and in that two-step process built on her experience to shape the way personal stories were told and the how they became part of larger narratives. The women were also co-directors of this film in that they selected the excerpts to be included, while I worked with Matt Wizinsky (Graphic Design) and Erik Hall (Sound Editing) to determine the order of the audio and determine the way the graphics would illustrate the sound clips. The production process took several months, and the women are as proud of the film and how it represents their lives and struggles as they are of the printed book they all received that contains all the interview excerpts that they wanted to make public. The piece has been screened at a Visual AIDS program in Chicago, where it was placed at the end of a reel of films about AIDS, Activism and Chicago. I encourage you to use either this short film or the longer piece by Visual AIDS when reading and teaching the essay. Both promise to powerfully center what a living women’s history of AIDS in Chicago might look and sound like. 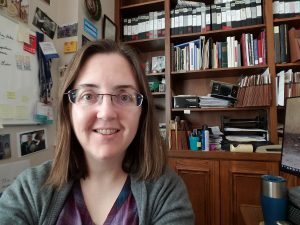 Jennifer Brier directs the Program in Gender and Women’s Studies at UIC, where she is also Professor of GWS and History. 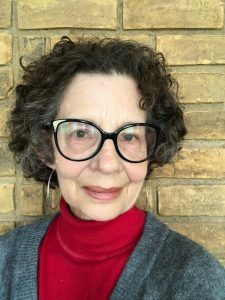 She specializes in US sexuality and gender history as well as public history. Brier is the author of Infectious Ideas: U.S. Political Response to the AIDS Crisis, published by the University of North Carolina Press. Brier is at work on a major public history project called History Moves, a community-curated mobile gallery that will provide a space for Chicago-based community organizers and activists to share their histories with a wide audience. The current project is “I’m Still Surviving” a multimedia presentation of a living women’s history of HIV/AIDS. 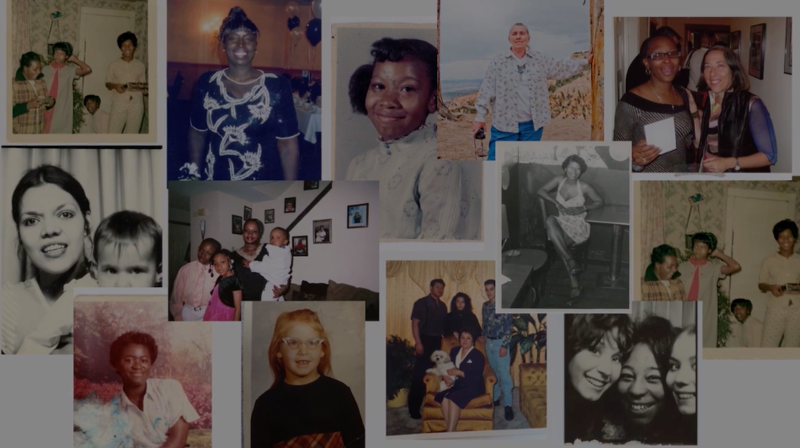 Featured image: Still shot from “I’m Still Surviving” featuring snapshots of women who participated in the project. We’ve asked authors of books reviewed in the upcoming edition of the Oral History Review to answer 5 questions about why we should read them. In our latest installment of the series, Brian Neve discusses The Many Lives of Cy Endfield: Film Noir, the Blacklist, and Zulu. 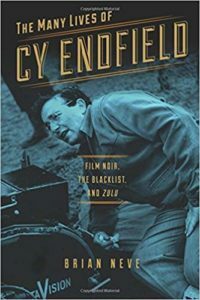 Holly Werner-Thomas’s review of The Many Lives of Cy Endfield: Film Noir, the Blacklist, and Zulu is currently available online. The book provides the first career study of a neglected film director whose life intersected with some key phenomena of twentieth-century cultural history. A number of writers on film had drawn attention to Cy Endfield’s work, but the details of his life were shadowy and sometimes confused. As a writer particularly interested in the social contexts of film (particularly American film), I concentrated, in my 1989 and 1991 interviews with him, on the arc of his career, his immigrant origins, his politicization in the 1930s, and the implications for him of the Hollywood blacklist. Endfield received recognition at the Telluride Film Festival in 1992, before his death in 1995. 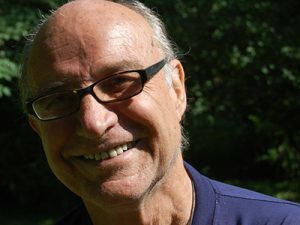 The book explores the struggles of a thoughtful, would-be Hollywood director during a particularly politicized span of time; it contributes to understanding of the Hollywood Left, aspects of what the French later called film noir, and the creative diaspora to Europe prompted by the blacklist. In significant ways the first (three-hour) interview that I conducted in London in 1989, at a time when the director’s work prior to Zulu (1964) was relatively little known, led to the structure of the book. I was able to expand on his comments about his immigrant father, his time at Yale, and his late thirties experiences with the left-wing New Theatre League in New York. I also gathered other interviews, in particular those kindly sent to me by Johnathan Rosenbaum, and tracked down people who had known the filmmaker. One particularly useful interviewee was the French critic and publicist Pierre Rissent, who talked to me in Paris about knowing Endfield (and Joseph Losey) in the sixties and instituting showings of the director’s work at the Cinematheque. My interviews in 1989-91 included rich material on cultural politics and on the events that led to him leaving America in 1951, just after he had finally established himself as a ‘bankable’ Hollywood director. Oral history can also capture particular moments of time with great clarity and power. I remember Endfield, for example, talking about the day in 1956 that a letter from the American Embassy invited him to collect his passport, after five years of being denied one by the State Department. He told me that he drove his then company car, a Morris Minor, ‘around Grosvenor Square five or six times in a state of exultation, of sustained joy.’ The first and most substantial interview that I did with Cy Endfield was a memorable experience for me. My feeling was that he was happy to confront issues that he cared deeply about, but had not previously addressed for many years. I found his memories to be sharp, nuanced, and revealing. Later I visited archives to look for evidence of the production processes relating to his film work, while also using his papers (curtesy of his widow, Mo), and further interviews with his family, friends, and associates. Endfield talked to me at some length about a short film made in the war years, and about The Sound of Fury/Try and Get Me (1950), a relatively ‘lost’ film that was restored and ‘rediscovered’, thanks to archivists and critics including Eddie Muller and James Naremore. Looking back, I wished I’d been able to talk at greater length to Endfield, particularly about his work in Britain. The Many Lives of Cy Endfield: Film Noir, the Blacklist, and Zulu. By Brian Neve. University of Wisconsin Press: 2015. I’m interested in exploring the relationship between individuals, groups, and wider political, economic, and cultural structures, especially in relation to film-making and film production. Individual testimony always has to be tested by reference to other sources, but in exploring film production and the blacklist (and the ‘naming names’ debate), I’ve felt it important to conduct interviews when possible. So oral history became significant as part of an effort to establish, cross-check, and sometimes revise historical accounts. Witnesses forget, of course, and sometimes misremember, but they contribute a nuanced understanding of events and era. Interviews have the ability to capture the mood or emotion of a particular time. I hope that they will be interested in the relationship between twentieth-century history and the arc of Endfield’s career, as established in part by interviews. The survival of so many of his letters from the 1930s to and from a close friend, the screenwriter Paul Jarrico, enabled me to provide strong biographical elements as well as a contextual and critical study of his work. Interviews also shed light on creative intentions, to set against the collaborative and corporate nature of movie production. Looking back I think Endfield in part set the agenda for my later writing: for all the achievements, at the core was an element of sadness due to lost opportunities, given that he gained some success as a Hollywood director just as the blacklist (and his previous association with the Communist Party) forced him—as someone reluctant to ‘name names’ before the House Committee on Un-American Activities—to leave the United States and re-establish his career in London. My questions to Endfield provoked both calm reflection and a more heated ‘stream of consciousness’. The interview was an inspiration, although the book, when written years later, drew on a wider range of sources and approaches. Directors, even the great ‘auteurs’ (a problematic notion), interact with a complex array of corporate processes and cultural forces. The ‘thirties’ generation faced a particular set of cards in an invigorated post-war Hollywood, and responded to the phenomena of ‘Un-Americanism’ and political reaction in nuanced ways. I hope my book does some justice to both the striving individual and the broader arcs of history.